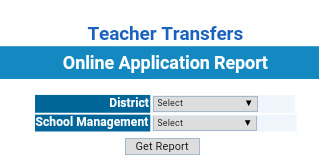 Enter http://125.16.9.133:81/APTeacherTransfers/Reports/TeacherTransferOnlineApplicationReport.aspx this link and Select District , Management after you get No. Applications. Click below link after enter applicant Name , Mobile No. 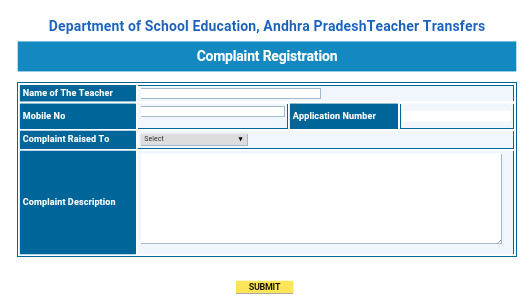 Application Number , Complaint Details enter.